As summer has come to a close, children are back to school and college, and adults are back to work, I want to preach a message that is very essential to all of us at this time. 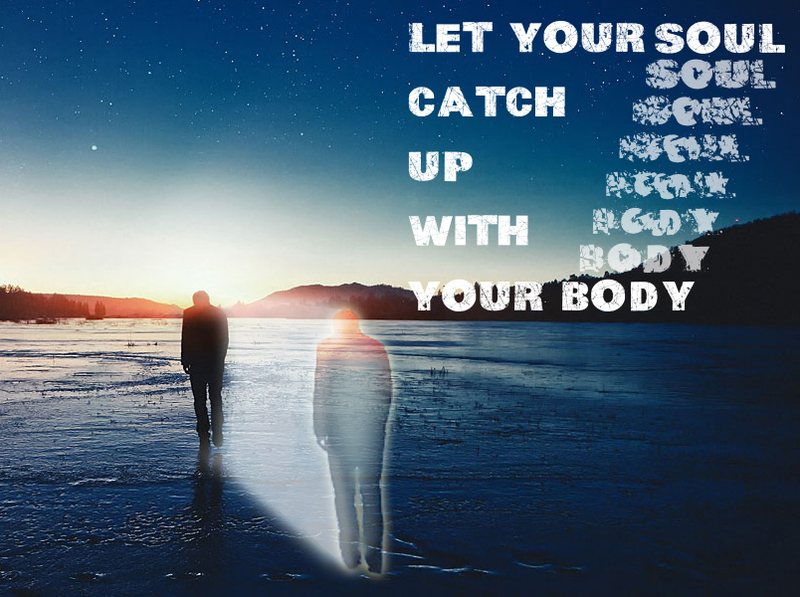 It is a message titled, “LET YOUR SOUL CATCH UP WITH YOUR BODY.” It’s a message on the importance of having one day of rest as commanded by the Lord – to rest our bodies, to restore our relationships, and to refocus our spirit upon Him. Deuteronomy 5:12-15 12‘ Observe the Sabbath day, to keep it holy, as the LORD your God commanded you. 13 Six days you shall labor and do all your work, 14 but the seventh day is the Sabbath of the LORD your God. In it you shall do no work: you, nor your son, nor your daughter, nor your male servant, nor your female servant, nor your ox, nor your donkey, nor any of your cattle, nor your stranger who is within your gates, that your male servant and your female servant may rest as well as you. 15 And remember that you were a slave in the land of Egypt, and the LORD your God brought you out from there by a mighty hand and by an outstretched arm; therefore the LORD your God commanded you to keep the Sabbath day. I. THE ORIGIN OF THE DAY OF REST. 12‘ Observe the Sabbath day, to keep it holy, as the LORD your God commanded you. Background: It means that the idea of the Day of Rest did not originate from society or culture or government or any human institution. It came from the Creator Himself. Gen 2:1-3 1 Thus the heavens and the earth, and all the host of them, were finished. 2 And on the seventh day God ended His work which He had done, and He rested on the seventh day from all His work which He had done. 3 Then God blessed the seventh day and sanctified it, because in it He rested from all His work which God had created and made. Sanctified means “to be set apart.” By the way, it was not just for Israel. In fact, the people called Israel would not exist for another 2500 years. This day was set apart for all people. Six days He worked and on the seventh He sanctified it and rested. Why did He rest? Was He tired? Isaiah 40:28 “The Creator of the ends of the earth, Neither faints nor is weary.” Was He out of materials? Of course not! Ex-nihilo creation. First, as an artist, He was stepping back to admire His creation. Second, as a worker, He was setting an example that there is a time to work and a time to rest. God wants us to remember that we are more than just work machines. – There are some people I know who run from work. If you want to get rid of them, all you have to say is “can you give me a hand with this?” and they are gone. – Then, there are some people – all they know is work. Their entire identity is tied to their work – they are workaholics. Note: There might be times when you will work extra hard or round the clock to get something going and I am not talking about those exceptions. But there is a time to rest. Hence, God gave the Sabbath to the entire human race. Six days to work and one day to let your soul catch up with your body. II. THE PURPOSE OF THE DAY OF REST. A. To Rest Our Bodies. As physical beings, we are limited. We are not built to last forever. Take for example: Jesus – He was fully God and fully man. He was sinless. He was perfect in every way. But in chapter 6 of Mark we see that He came to His home country of Nazareth. Even though He did heal some sick, He could not do many mighty things there. It was the Sabbath and He began to teach in the synagogue but many ridiculed Him. Later, He went about the villages in the circuit and even sent the twelve to go out to preach. You can imagine how tiring that was. About this same time, King Herod had also beheaded John the Baptist. So much was going on in the life of Jesus. When the disciples returned, listen to what He did in Mark 6:30-31 30 Then the apostles gathered to Jesus and told Him all things, both what they had done and what they had taught. 31 And He said to them, “Come aside by yourselves to a deserted place and rest a while.” For there were many coming and going, and they did not even have time to eat. 32 So they departed to a deserted place in the boat by themselves. There is a reason why many people stay angry, cranky, snappy most of the time. Take a day to rest your body. What if I can’t relax on Sunday? As a pastor, I can’t on Sunday. Then, rest some day of the week. B. To Restore Our Relationships. Background: Did you notice the family dynamics in that verse? Take time off for the most important people in your life. God thought of everything. He wants us to realize that people matter more than projects. Family is tearing apart because we are not there to see each other. For e.g. This has been a very busy summer for us. I took the boys to play golf. After we were done, I told them we would get some ice cream. Their answer – “If you want to.” Meaning – we didn’t come for that. To Nicole and me our family is very important. We have them for a very brief time. C. To Refocus Our Spirit. Background: God wanted the people of Israel to know that He was the source of their freedom. So one day to get our mind and hearts back on Him. All week long we are distracted by the things of this world, cares of this life, worries and pains. We get spiritually weak. The soul has to be recharged. We need a spiritual tune-up. It’s not just about resting your bodies and restoring our relationships. It is also about refocusing our Spirit upon the things of God. For e.g. A man was passing by a coal mine in Pennsylvania on a Sunday. He saw a number of mules in the field. He asked what they were doing. They were used in the mines. Unless they were brought up once a week, they would go blind. UNLESS WE SEE SPIRITUAL LIGHT, WE TOO WILL GO BLIND IN THIS LIFE. People say – “Oh I worship but I don’t have to go to church to worship. I can worship just as well on the lake or on the golf course or with my family at home.” Sure you can. But do you? It is very very hard to have a focused time of worship away from church. Not only that but when we come together for worship, we are worshipping as a community. God wants us to worship Him everyday. Six days worship individually but the seventh day worship as a community. David said in Psalm 122:1 I was glad when they said to me, “Let us go into the house of the LORD.” David worshipped God individually but he looked forward to worshipping with others. The principle of worshipping together every week is reinforced in the New Testament. Listen to Hebrews 10:24-25 24 And let us consider one another in order to stir up love and good works, 25 not forsaking the assembling of ourselves together, as is the manner of some, but exhorting one another, and so much the more as you see the Day approaching. On September 7th we are starting a Saturday evening worship. This will give people an opportunity to worship who do not get to worship on Sunday. 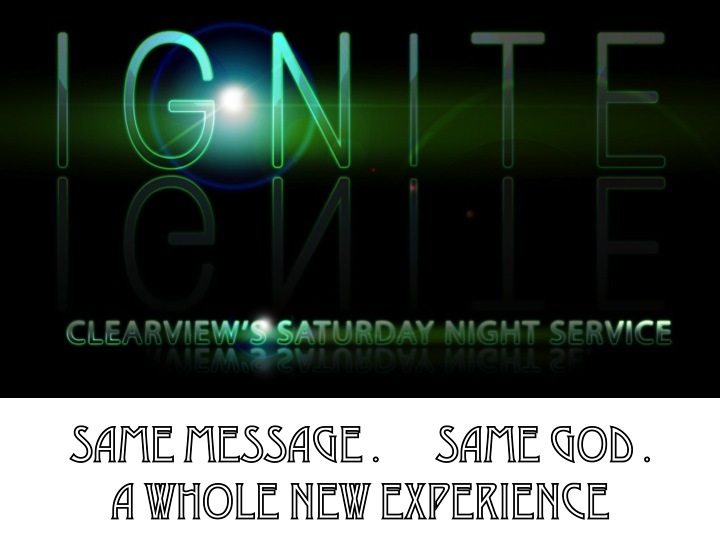 Our motto – Same Message, Same God, A Whole New Experience. III. THE FULFILLMENT OF THE DAY OF REST. Some people get very legalistic about a Day of Rest. They make a list of do’s and don’ts. They loose the focus of what the Day of Rest was supposed to be – kind of like the Pharisees. By the 6th century – more and more laws were added. There are 39 words in the Hebrew language in the 4th commandment. They multiplied it by 39 and they got 1521 laws. Things they could not do on the Sabbath. – You have a tack in your sandal; you better take it out by Friday. – You’ve got a flea; better get it before sunset Friday. – Don’t hold vinegar too long in your mouth for a toothache on the Sabbath. That would be healing and that’s work. – Wearing perfume; lifting dust in the house, animal falls into the ditch. If there was one subject that the Pharisees were aggravated with Jesus over was the Sabbath. Over and over and over again they accused the Son of God of breaking the commandment He had given. Jesus kept the Sabbath but not their way. What God intended as a Blessing, the Pharisees turned into a Curse. Christ disregarded all these artificial rules and declared that He was the fulfillment of the Day of Rest. Most important reason – We can’t work for our salvation. We can only trust in Jesus. We rest in His finished work on the cross. That is our rest of salvation. We rest in Him for everything. Does that mean we don’t do anything as a Christian?